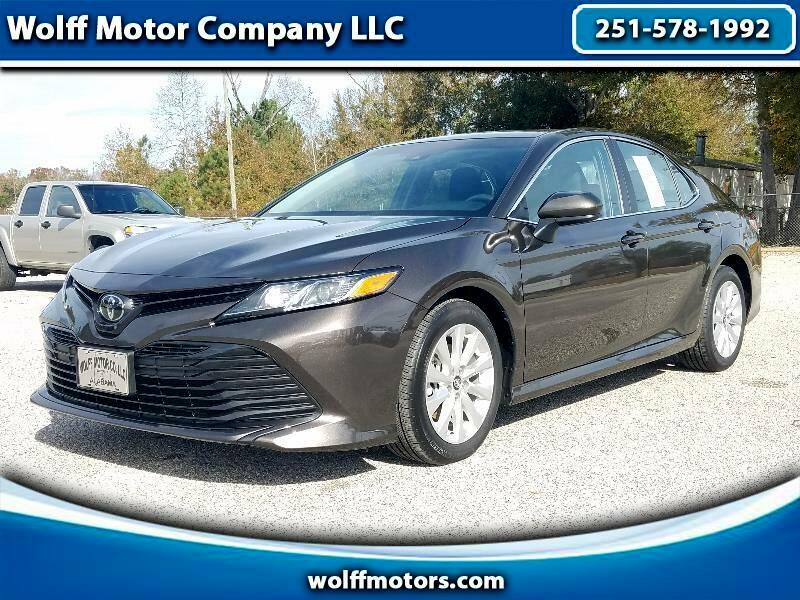 Check out this 2018 Toyota Camry LE with only 12k miles with a clean carfax. This 1-Owner vehicle is equipped with a 2.5L Engine that gets up to 41mpg on the highway. Talk about a gas saver that's sleek and stylish. This car features powered drivers seat, windows, locks and mirrors. Take advantage of the large LCD Touchscreen Display with a backup camera for added safety. Give one of our Sales Professionals a call today at 251-578-1992.